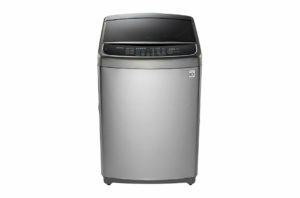 LG washers use a combination of 6 motions, based on handwashing, to wash your clothes. Simply choose a cycle. Your washer works out the best combination to give you an outstanding wash, whilst also caring for your clothes. The On-Board Heater allows this Top Loader to achieve a 60°c washing temperature when you need it, like when you are washing sheets or towels. Higher temperatures help remove common household allergens and stubborn stains. A Stainless Steel Tub is more effective to help control bacteria growth than tubs made of plastic or containing plastic agitator or pulsator. A hygienic tub helps maintain a hygienic wash. 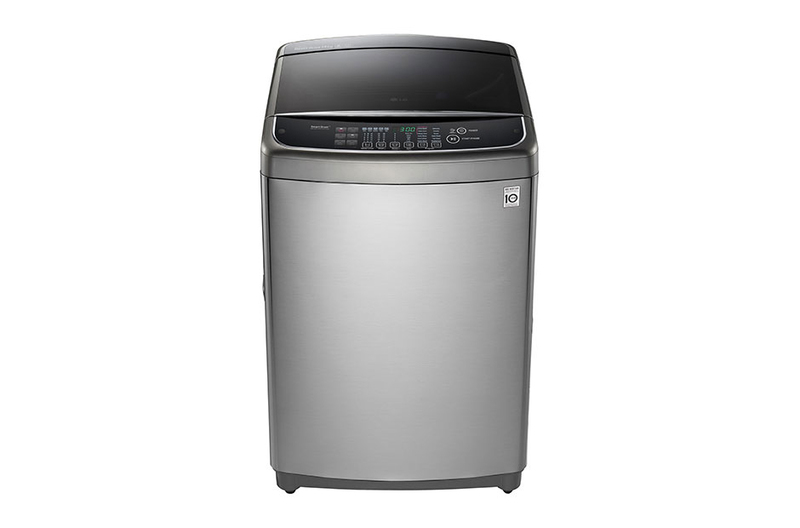 Enables the download of additional washing programs via a Smartphone to the washer. It also lets the user view usage history and diagnose any issues with the washer.